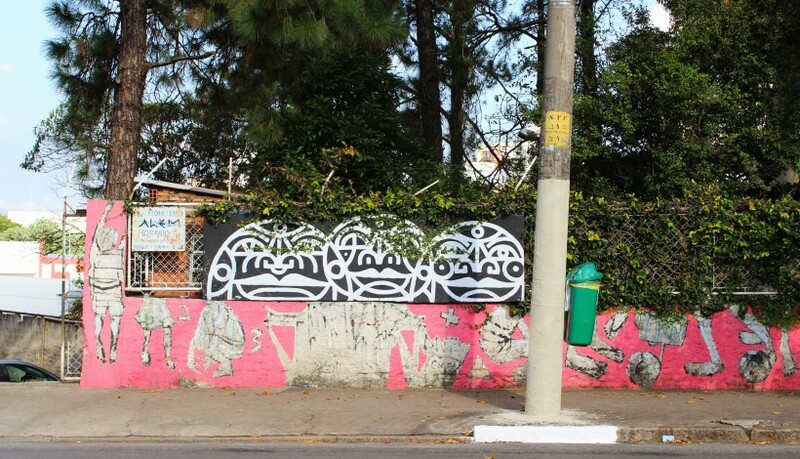 Sao Paulo is not a city. It’s a huge living organism that moves and evolves on it’s own. It’s intimidating and overwhelming, at least it was for me, before I spent a month there. 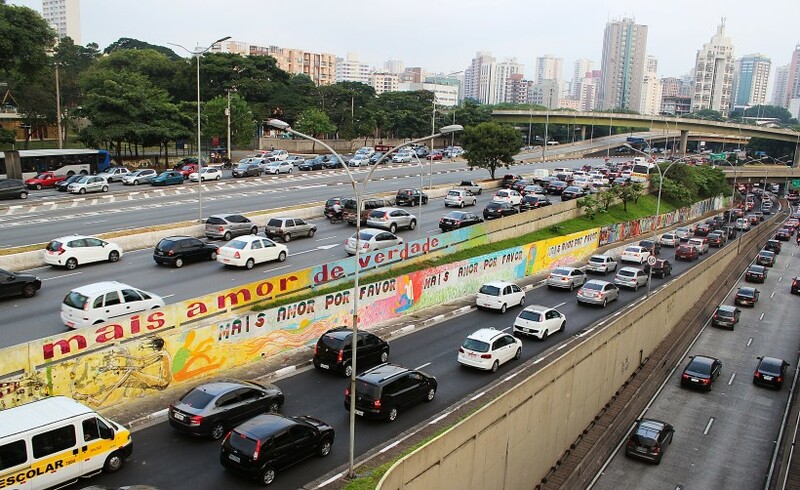 Somehow, Sao Paulo manages to be organized in it’s chaos, there’s 22 million people living here and yet it never feels impersonal or too big to grasp. 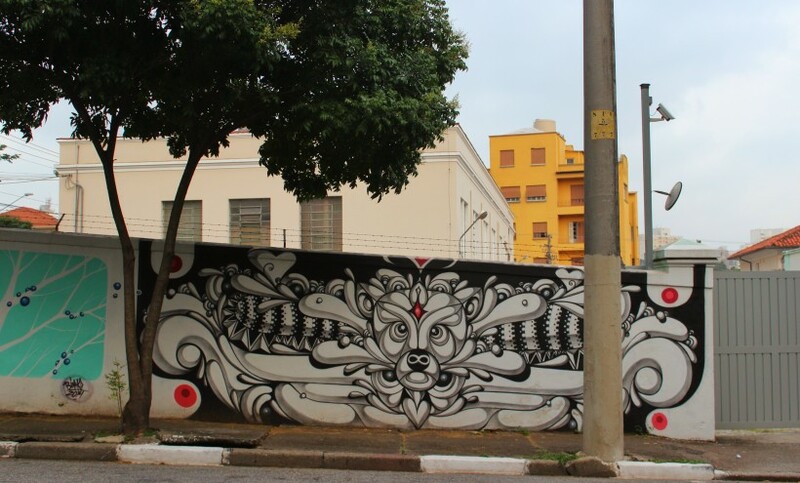 SP is public space take over paradise, there’s graffiti, street art, tags, throws and pixaçao exactly everywhere, for me it was overwhelming at first glance and then simply fascinating. I got to SP thinking that I was going to stay for 2 weeks, I ended up staying 5 weeks. It was some of the most laid back and at the same time, hectic weeks of my life! Paulistas are very chill, they take one day at the time and enjoy their time off, as a result there’s something happening exactly every day. 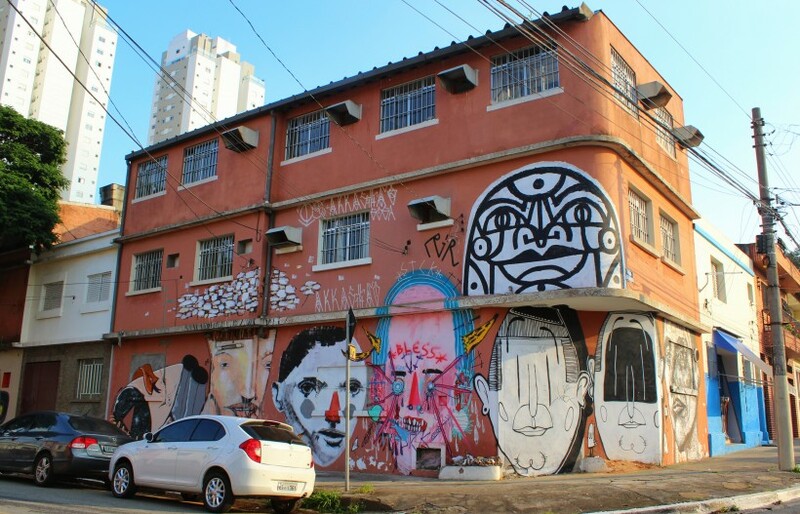 Art gallery openings, public space take over events, concerts, dancing in the streets to samba music, soccer games or just your usual drinking beer with friends on the sidewalk on warm nights. I spent 5 amazing, fun, creative weeks here, met great people and I will be coming back many more times. If you love public art and cosmopolitan cities, you have to visit this magical place! 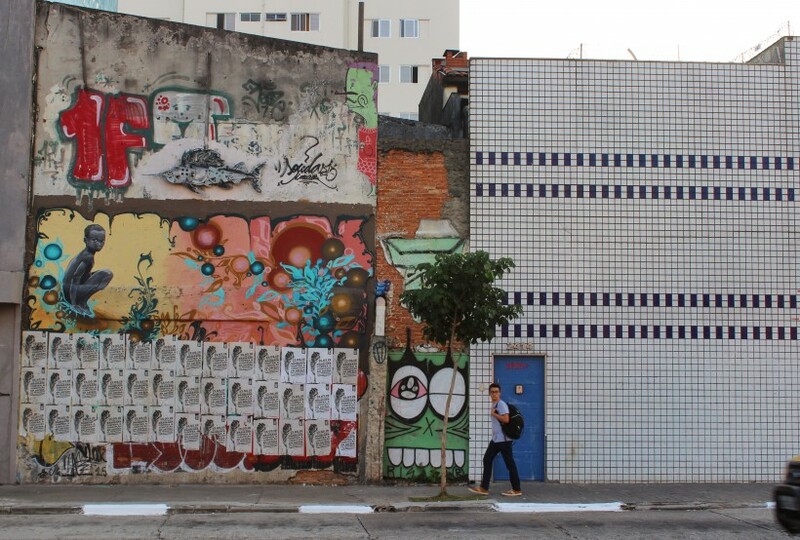 I went to SP in April, a perfect time of year for walking around every day snapping photos of walls. Not to hot, and not yet “winter”, I would recommend visiting SP either from March to May or August to November. 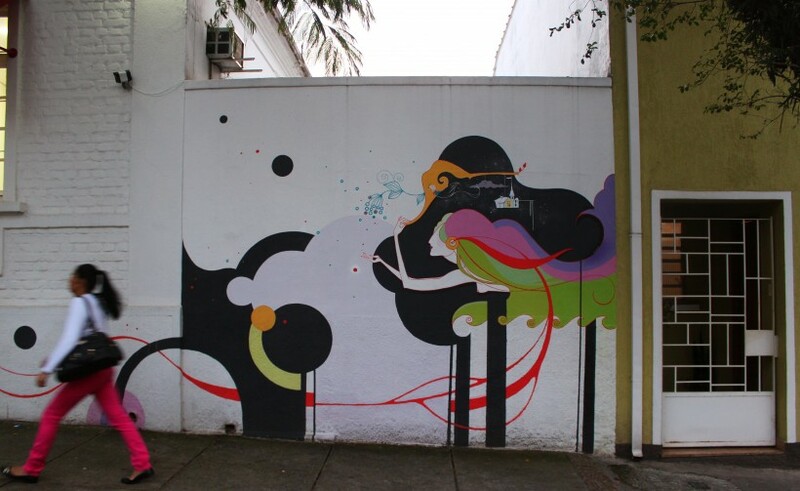 Since Sao Paulo isn’t on the coast summers get extremely hot here, and winters are short but rainy. Still, bring your swimsuit, a lot of places to rent have pools and the beach is only an hour and a half away by bus! If you come by air and land at Guarulhos International the easiest and cheapest way to getting into the city is “Airport Bus Service”. It’s a shuttle bus that stops in the middle of the city at Praça da Republica and it only costs about 13US Dollars, or 42 Reais. From Praça da Republica you can take the subway to most places in the city. Sao Paulo is such a big city, location is key. There’s also a security angle, SP is a more dangerous city than others, but I have to say, I’m a woman traveling alone and I felt very comfortable in this city. It’s just a matter of location and common sense to be safe, like in any other huge city in the world. 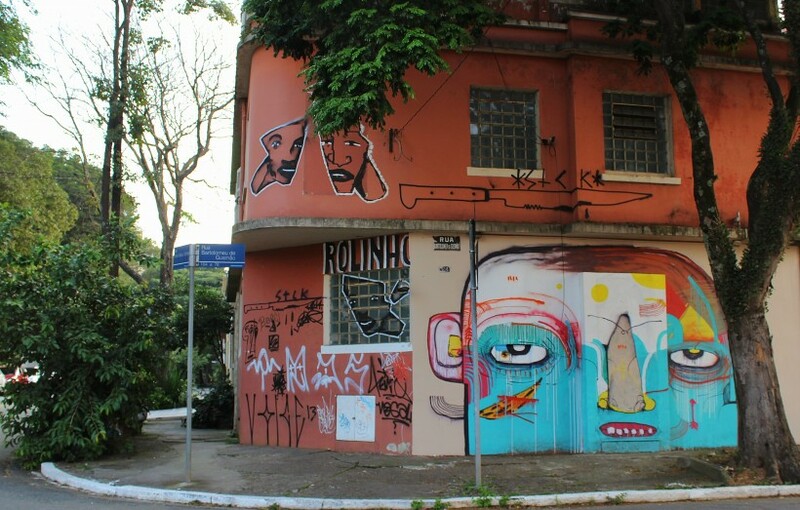 Some neighborhoods are safer and livelier than others, choose one of these to find a place to stay; Vila Mariana, Jardim Paulista, Vila Madalena or Pinheiros. The subway system works very well and is easy to navigate, it’s by far the cheapest and fastest way to get around. Choose a place to stay near the subway stations Ana Rosa, Vila Mariana, Vila Madalena, Fradique Coutinho, Trianon Masp or Brigadeiro. The subway is 3,5o Reais for a one way trip, that’s 1 US Dollar. You can get a ticket for each trip in any subway station at the “Bilieteria” or buy a rechargeable card in the little yellow kiosks at the entrance of the bigger stations. I stayed close to Ana Rosa and loved it, mostly because I had the best AirBnB host one could wish for, I’ll be happy to pass the name if you guys need a place to stay, email me! 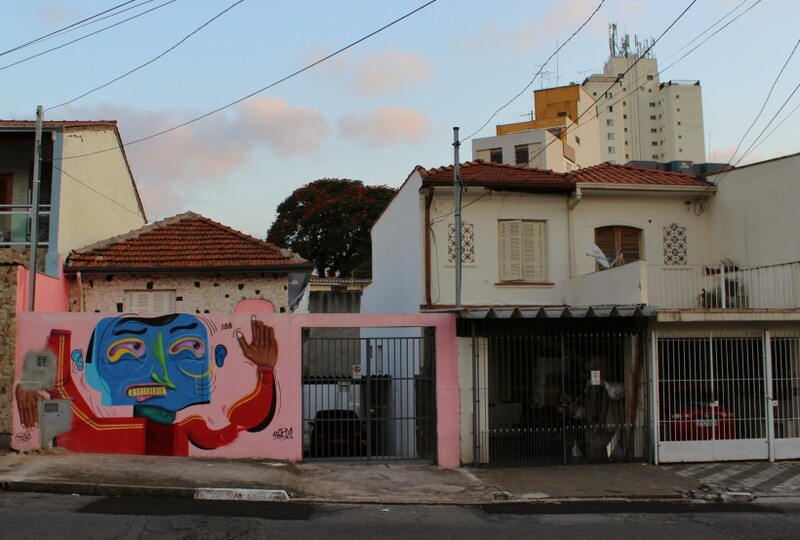 I felt great in Vila Mariana because of the atmosphere, it’s a neighborhood full of art, artists studios, bars, cafés and parks. It’s quieter than other neighborhoods and very cozy. There’s plenty of public space take over, don’t be surprised if you find people painting on walls during daytime, specially on Sundays. 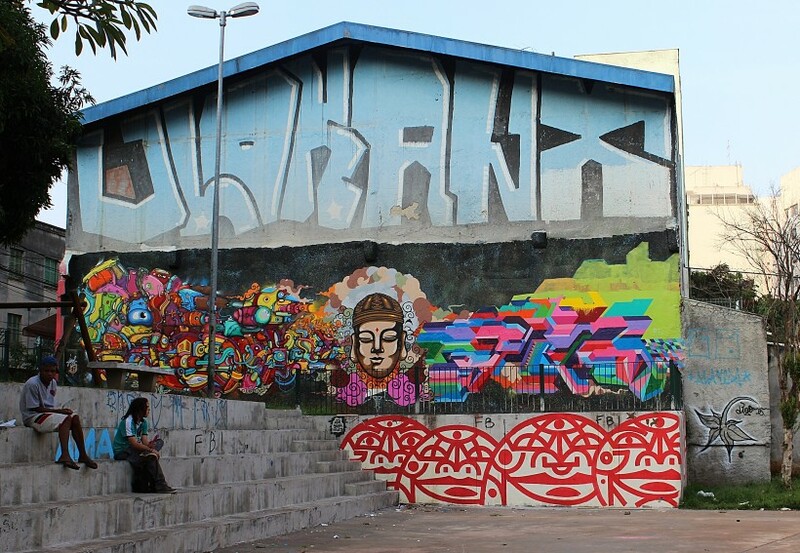 It’s a little bit of a graff and street art tradition in SP to paint together with friends on Sundays, and if you have cans, you’ll be welcome to join in! 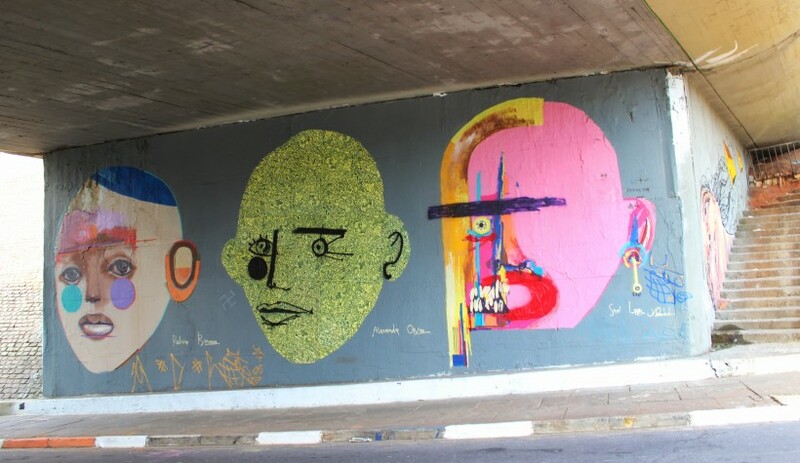 Ana Rosa subway station, April 2015. 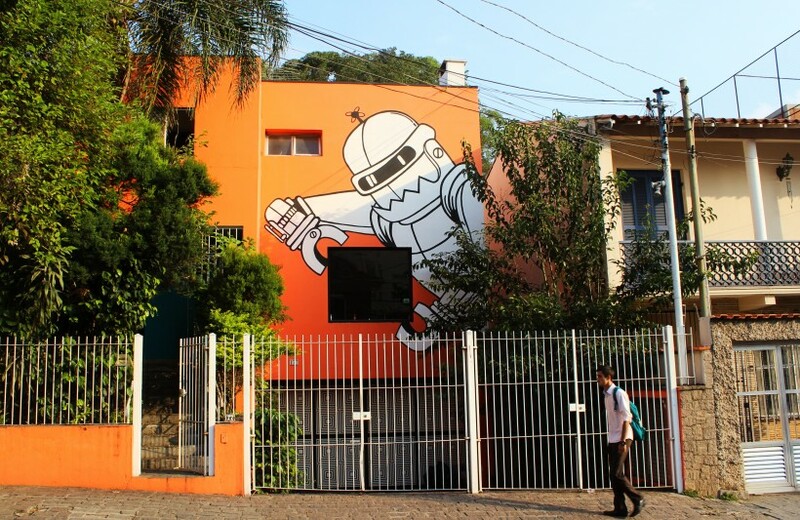 AirBnB is a great option in SP, there’s plenty of good places out there and Paulistas (Sao Paulo natives) are super friendly and helpful, which makes them great hosts, eager to make sure you have a great time in their city. It’s a little more expensive than hostels but cheaper than a hotel. If you’re traveling in a group it’s definitely the better deal. 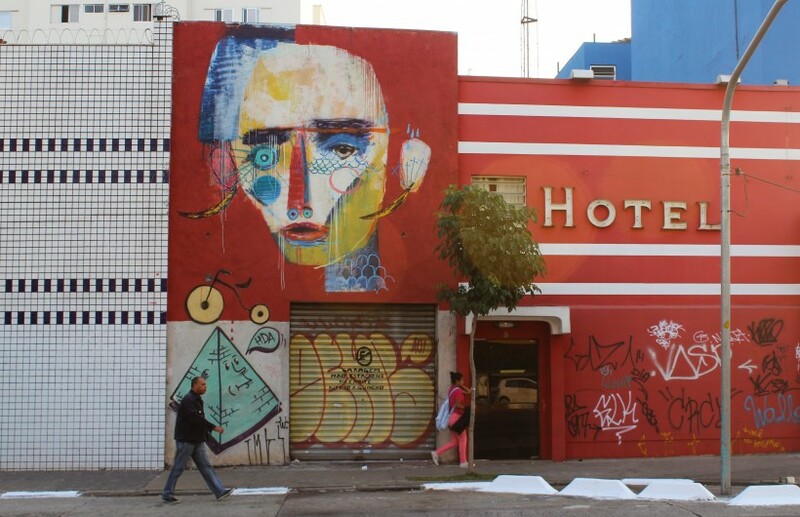 Vila Mariana and Vila Madalena are full of hostels, check out The Hostel Vila Mariana on Rua Domingo de Morais 775. It’s a beautiful place with friendly staff right by the Ana Rosa subway. 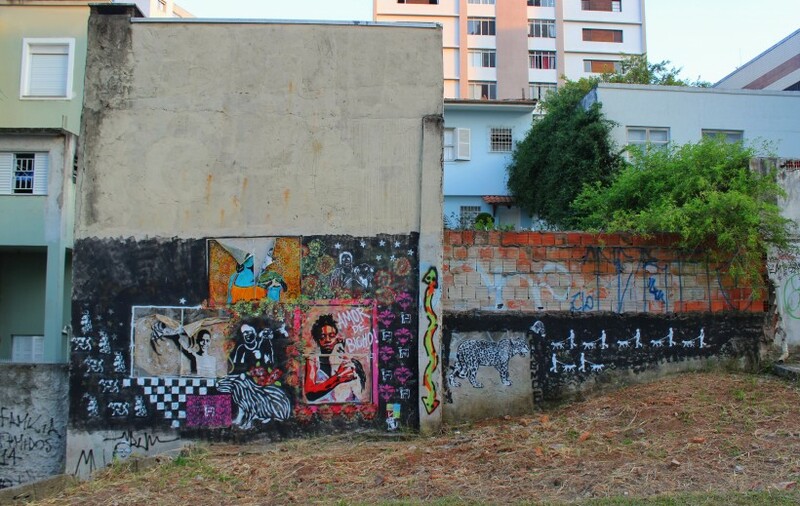 There’s one bar that you simply can not miss in Vila Mariana, “Veloso”. On Rua Conceição Veloso 54, they serve amazing Caipirinhas and over the top yummy snack food. Don’t come here expecting a quiet bar where you can sit down for a chat, come here to get the full Paulista bar experience. Loads of people drinking and eating on the sidewalk, music, talking and all and all a great atmosphere. Order “Coxinhas” – a fried snack made of dough and chicken and drink Caipirinhas made with exotic fruits. You’re going to love it! For yummy coffee, try Domenica Café on Rua José de Queiros right by Ana Rosa subway and for good fast food, Prime Dog at Rua Vergueiro 1960. There’s plenty of small places to eat around that subway station, very typical food cafés and juice bars and everything else you might need like supermarkets, small shops and banks. Among others you will find Santander and HSBC banks, those ATMs work with any international VISA and MasterCard. Try to always take out cash at ATM’s inside banks instead of the ones in subway stations or on the street. You don’t need that much money in cash in SP though, most places take card payment with PIN number, super safe. There’s a really nice, cozy pizza place in Vila Mariana with a beautiful garden for those warm SP nights called Quintal do Braz. It’s on Rua Gandavo, 447 and the pizzas are delicious and not expensive, win-win! Also in Vila Mariana is this great little place called Emporio Foodie, it’s on Rua Joaquim Tavora, 737. They have really good wine, you can buy a bottle to take with you or sit there and enjoy it with delicious newly baked bread and cheeses, needless to say it’s not only a good deal but also a delicious deal! 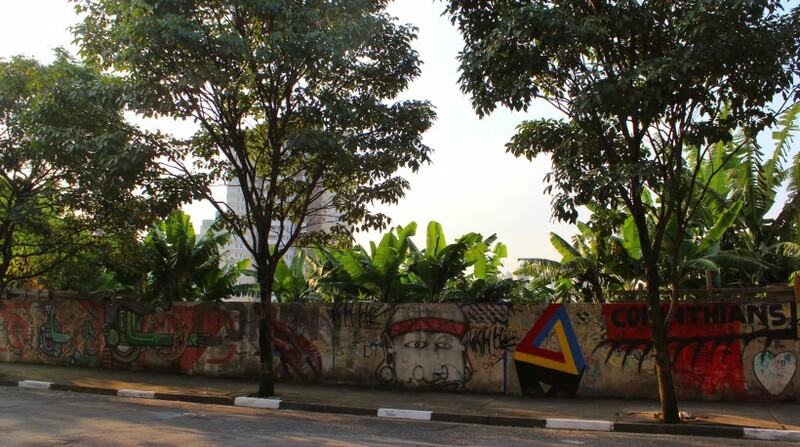 Some public space take over and behind the wall, banana trees! 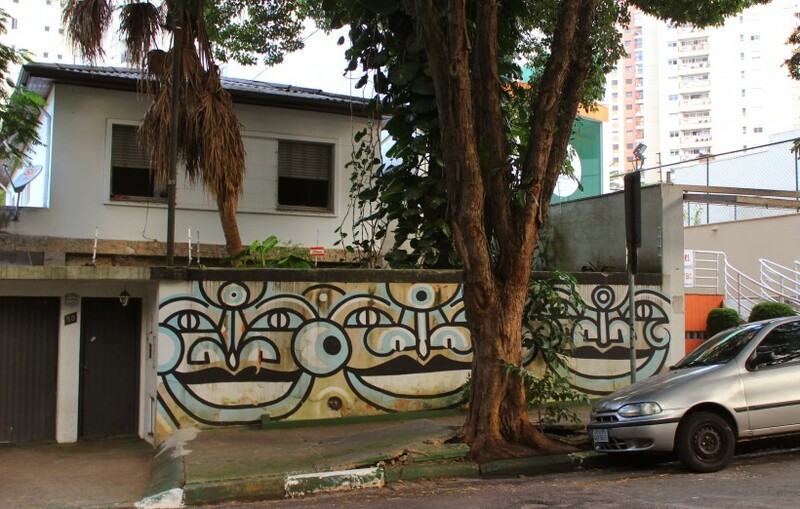 By the highway, Vila Mariana. By the highway, April 2015. As a Paulista I can say that your review eas great for the things you propose. 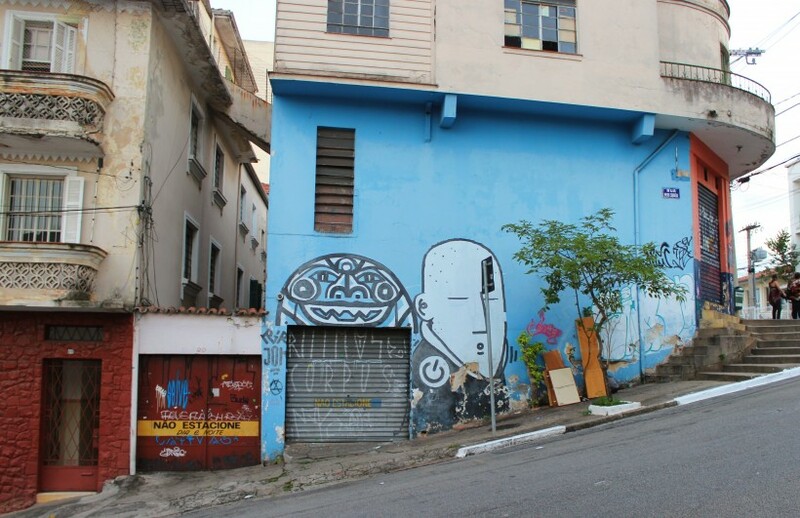 Vila Mariana is a very cultural neighborhood and if you are near the subway you are in the best line as possible. You pictures are great! This is beautiful! 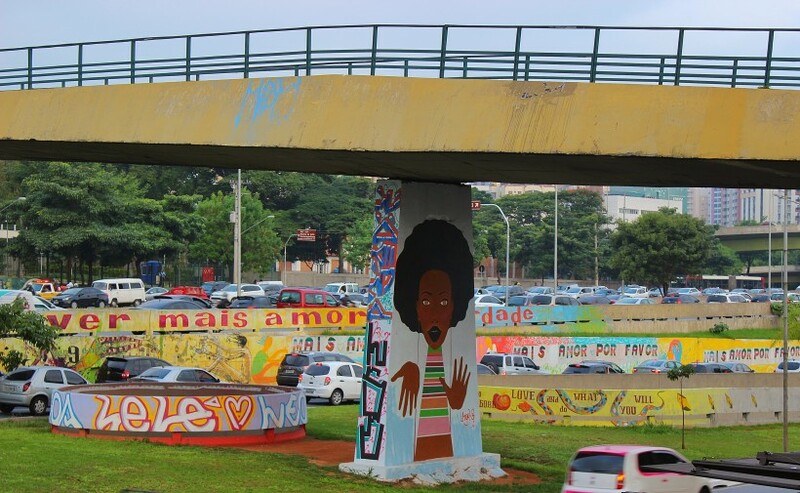 Thank you for showing my neighborhood like that.Vila Mariana is a beautiful place to be and enjoy a good time. You have peacefull eyes to look at things. Keep up!